This entry was posted on 29th March 2018 by Northern Star Tepees. 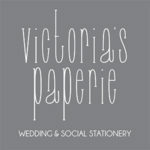 Victoria's Paperie specialises in the wonderful world of bespoke wedding and social stationery. 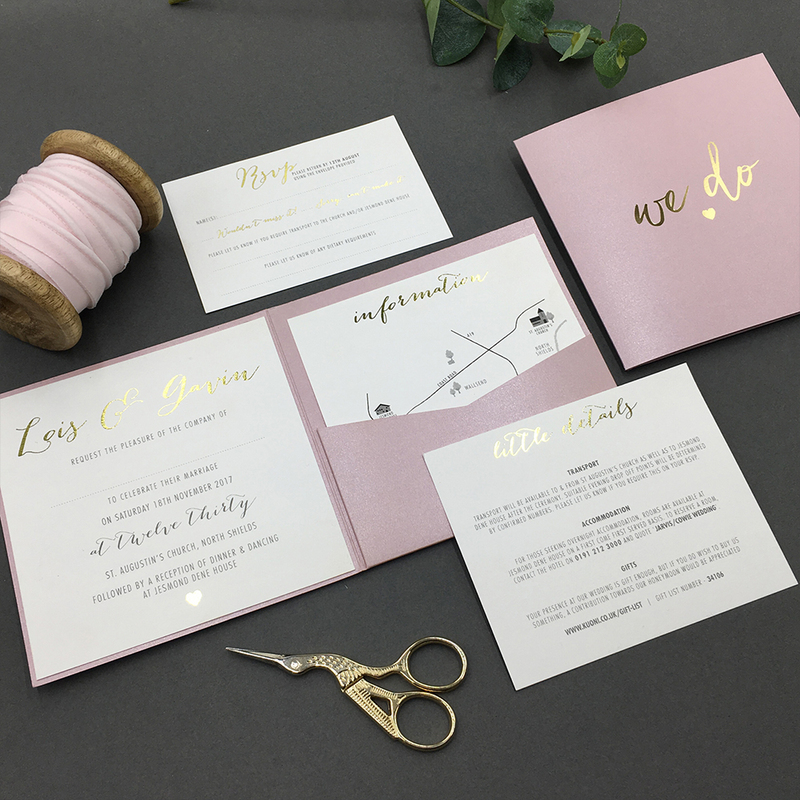 From Save the Dates and wedding invitations, through to table plans and name places, we provide brides & grooms with all the stationery they need for their beautiful wedding day- proudly customising each and every design to make things that little bit more personal. Tying the knot can sometimes be stressful so we feel it's important to experience an enjoyable and stress-free part of your wedding planning when choosing stationery. 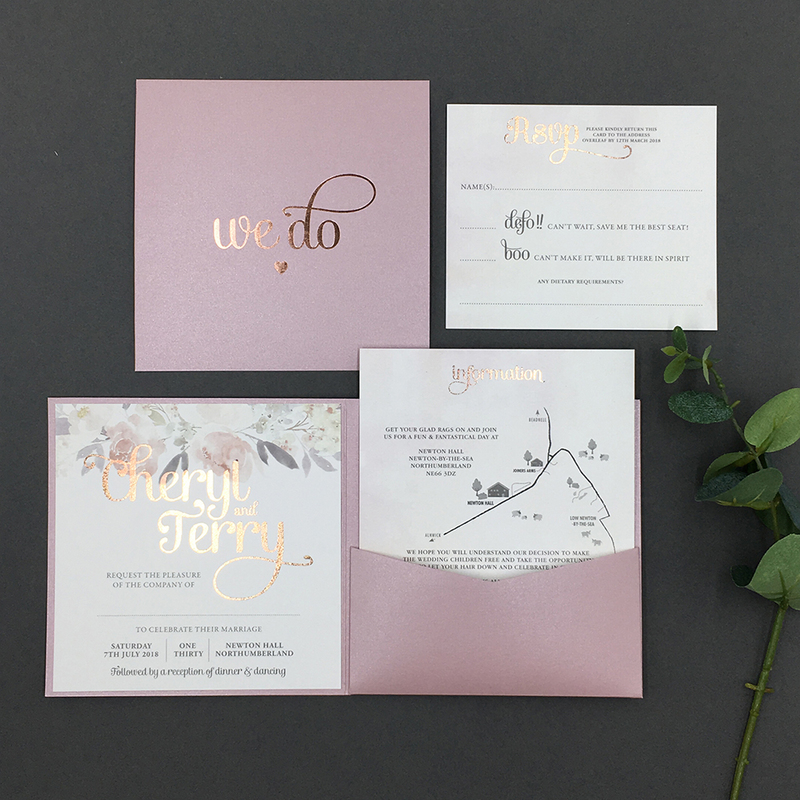 All couples have different ideas about their special day, so we feel that your wedding stationery should reflect your personality, vision and of course budget. 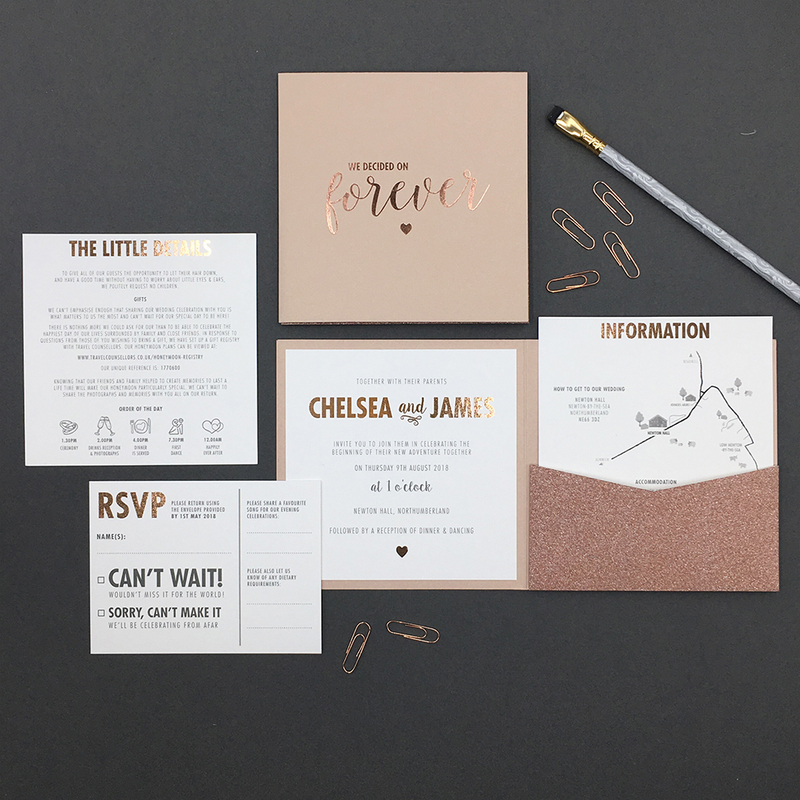 Our wedding stationery is bespoke so we always aim to provide you with something that is totally unique. Foiling - Always top of our list, adding that extra bit of elegance to your invites. This can be ‘hot foil stamped’ or laser printed, either way can transform a basic card into a little bit of glam. Botanical - Florals, nature and foliage. Combing rustic, pretty and elegant. This could match your venue, fitting well with barn and tipi style weddings. 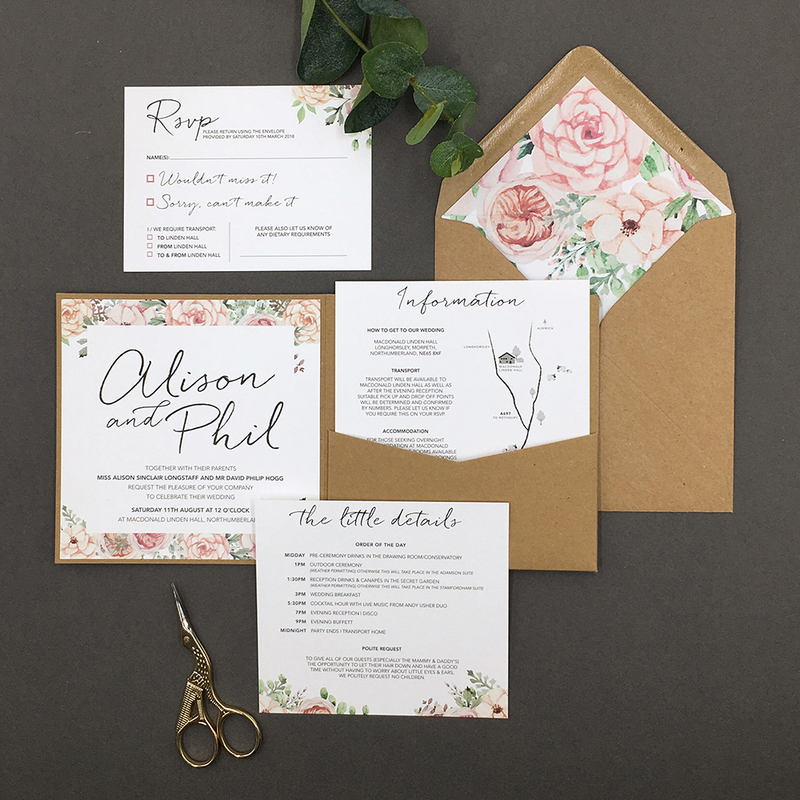 Using different card textures can also emphasise the style, along with extras like twine and taffeta ribbon. Minimalistic - Using your wedding colours along with simple typography & colour. Sometimes using a beautiful handwritten font can make a basic style invite have a romantic finish. Use this font throughout your daytime stationery, ie name places and table names to keep the romance flowing through your wedding. Mixing materials - Don’t stick with one card choice. Incorporate different textures and weights to give a different dimension. Popular card types with our pocket-fold style invites are pearl and kraft, along with white textures like linen and smooth. Watercolour - Subtly bring your wedding colours in using a soft wash, pastel or watercolour effect. Using a textured card can add a delicate feel, or use it on an envelope liner to carry your theme through your finished invite. Our best selling style has to be the pocket-fold. Pocket-fold style invites are a great way of getting a lot of information in to a small space. This gives you the opportunity to tell your guests all the relevant information about your wedding including directions, accommodation details, gift ideas etc. We would always recommend you tell your guest a little ‘too much’ info rather than not enough. Once you’ve posted your invites out, hopefully your guests will know all they need to know. You can choose to include an RSVP in your pocket. We can supply these either with a pre-addressed envelope or double sided postcard, making it as easy as possible for your guests to return to you. Adding a small map to your information inserts is a great way of ‘sowing the seed’ of where your venue is. Once your guests get their bearings, this might nudge them into booking accommodation or transport. Leave enough time to send out your invitations. We would recommend 3-6 months before your wedding. If your guests have a menu choice to make, or your wedding is in the holiday season, you may need to send out a little earlier.